My family wants this Easy Pizza Pasta Bake in our regular meal rotation and I like to include it because it’s so simple. 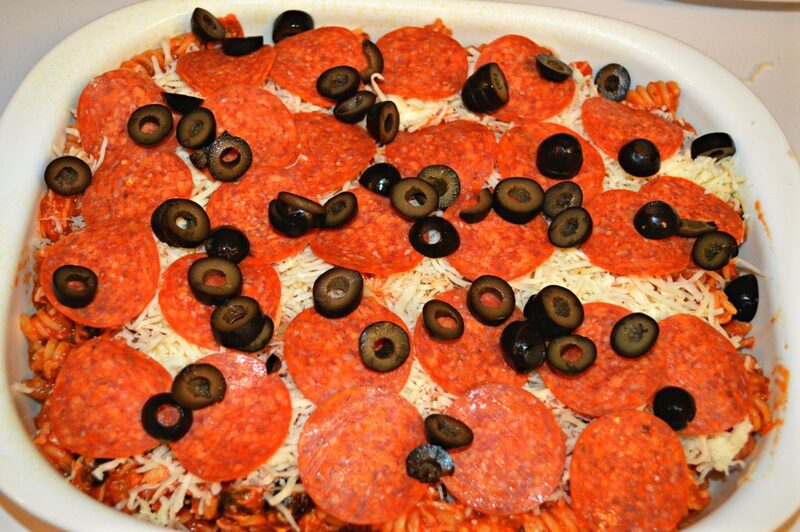 The flavors come together in a really complex way to showcase this dish that is not just ‘a casserole’ but a WOW, what’s in that AMAZING pasta!?! 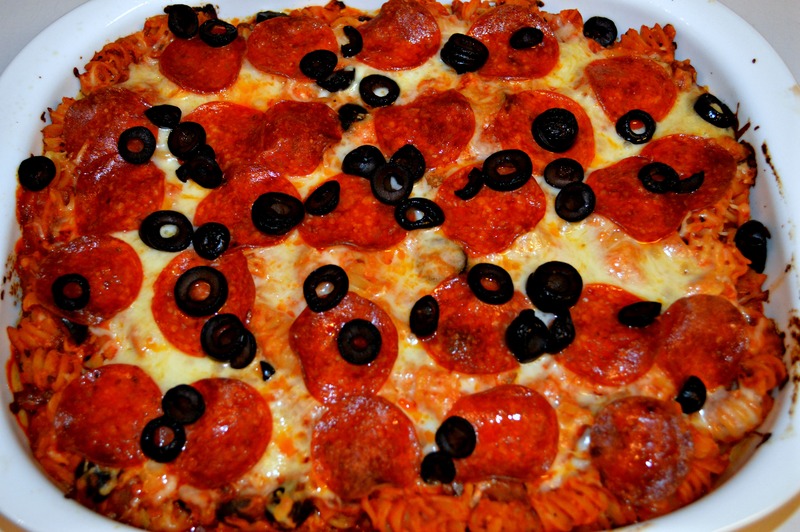 I hope you make this Easy Pizza Pasta Bake tonight and let us know how you enjoyed it. Coat your 9″ x 13″ baking dish with spray release. 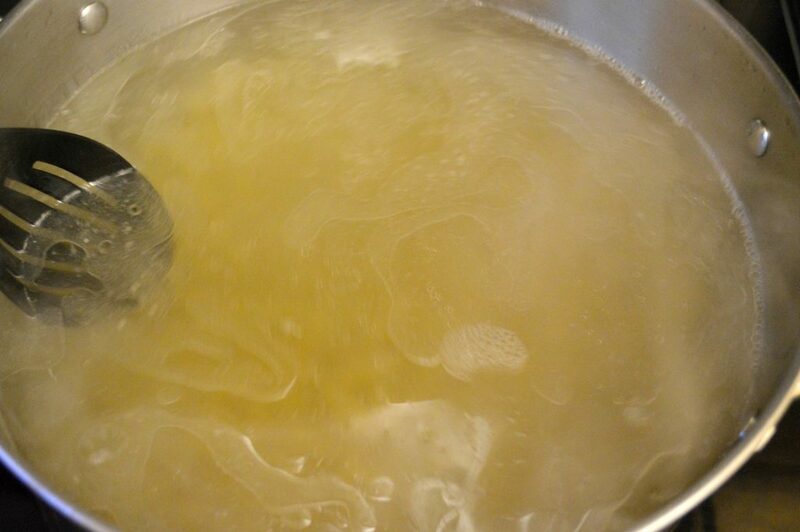 Bring a large pot of salted water to boil; following instruction on the package, Cook the pasta to al dent. Meaning it still has a little ‘bite’ to it, and is not mushy or cooked quite all the way through. 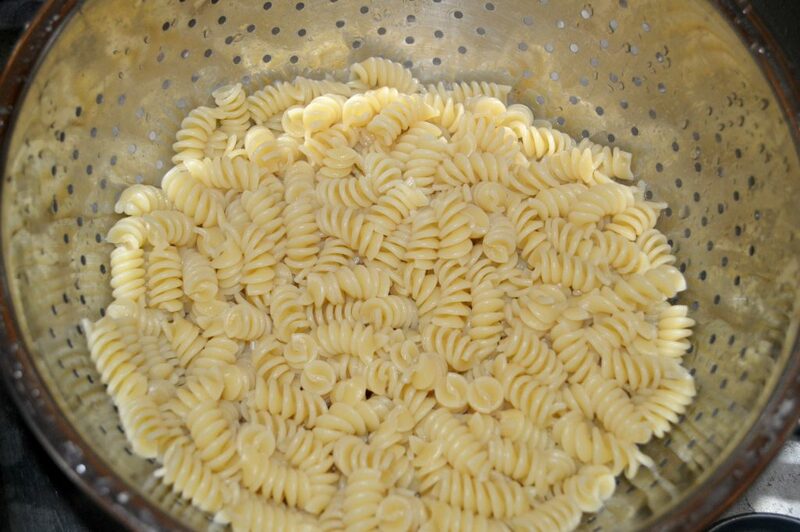 When the pasta is cooked to al dente, drain in a colander, rinse and pour the 2 Tablespoons oil of your choice over pasta, gently mix it over all of the pasta with your hand or a spatula to coat it all evenly. 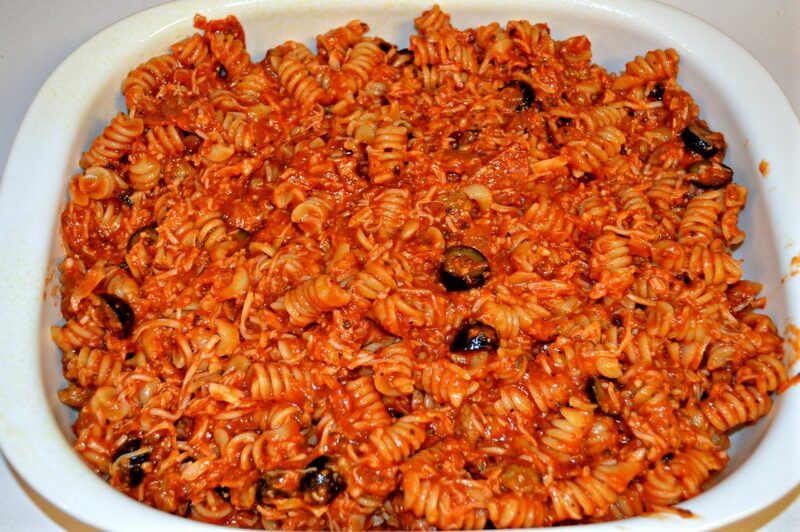 Allow the coated pasta to sit in the colander while you prepare the sauce. Rinse out the pan and put it back on the stove. 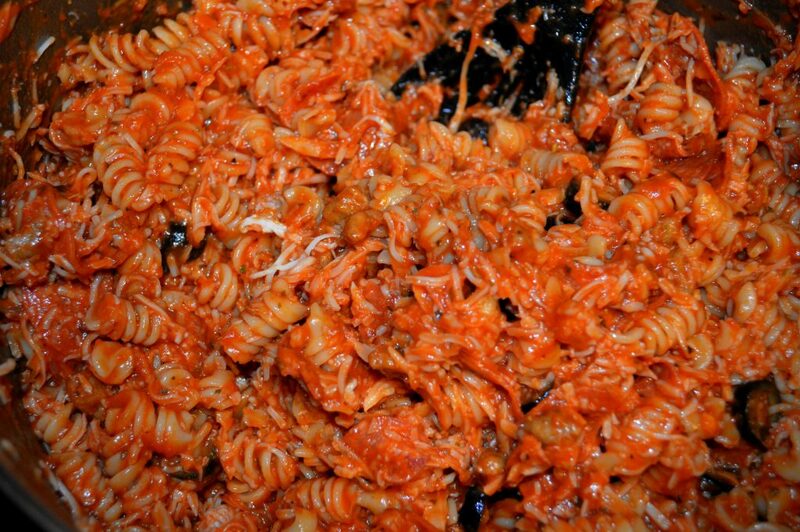 In each bottle of pasta sauce pour 1/4 cup of water and shake well to get all of the pasta sauce rinsed out. Pour this into the pan with the pasta sauce. Bring to a simmer and cook on low for 2 minutes. Add in the pasta and stir GENTLY. Pour this mixture into your prepared baking pan. 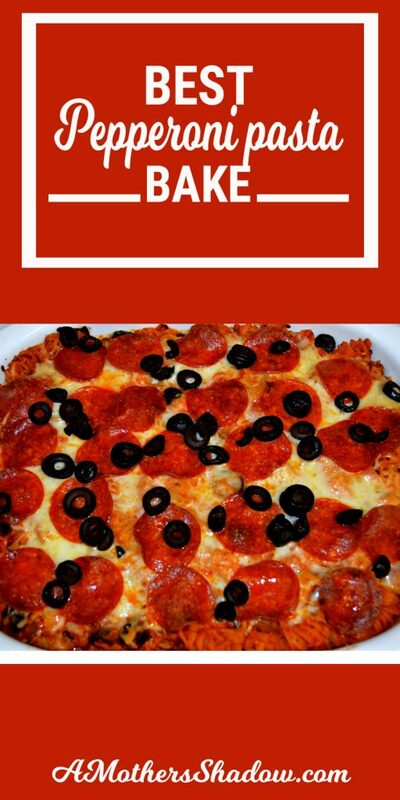 Top with the rest of Mozzerella cheese – 1 cup. 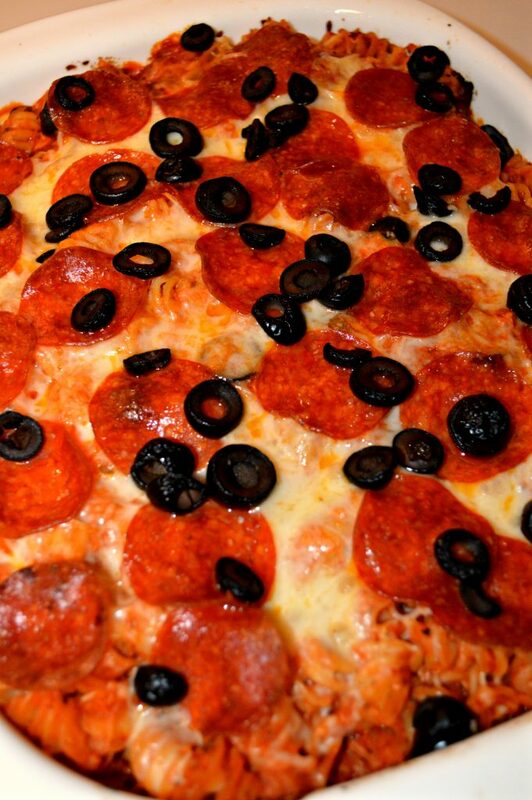 The reserved whole pepperoni and the 1/4 cup sliced olives. Bake for 30 minutes or until hot and bubbly all through.